Although coastal elites may be the major-league players in the credit-funded world, there is still a thriving opportunity for any business who understands and uses financing to transact. We recently teamed up with Dave and Matt Halvorson of Halvorson Company in Fargo, North Dakota, and found that while many local, privately held businesses in the Midwest not only operate using leverage, quite often to make large purchases, they don't always insure the individuals who help make the businesses run. With an understanding of the ebb and flow of financing to transact, locally owned business owners may be more open to the concept of leverage and arbitrage to enhance life insurance planning options. Forbes Finance Council selected 12 members to provide insight on how to avoid costly mistakes which could affect how your money is managed and grown over time. Michael Seltzer explains the importance of coordinated goals and focusing on net returns when looking at overall wealth - both now, and for the future. 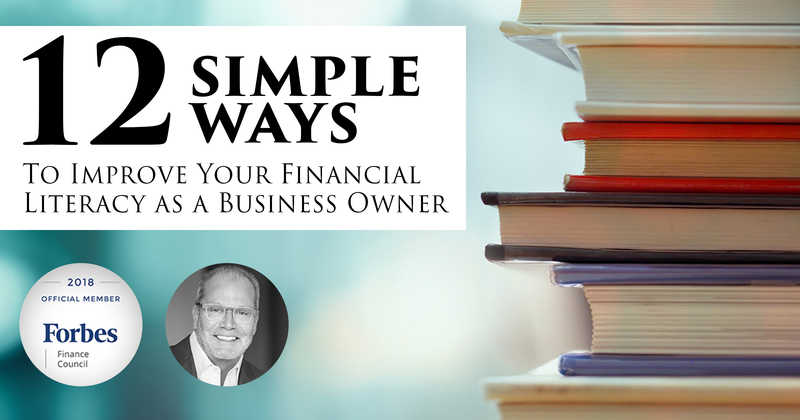 Every business owner should make financial literacy a part of their continuing education. Forbes Finance Council has organized an article featuring Michael's response to how business owners can enhance their knowledge and understanding of their finances and communicate transparently with a solid advisory team.